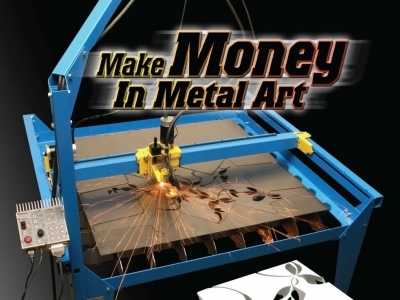 Make money in Metal Art PlasmaCAM - Call 719-676-2700 (use code T5UWY) or visit www.plasma.com The PlasmaCAM machine makes it easy for you to cut intricate metal projects. Watch free demo video. See what you can do with this amazing machine. Requires little metalworking experience. Inport design and produce a metal design. Innovative business.